Absolutely extraordinary! Nothing less could describe the incredible show this Japanese Iris puts on in early summer. 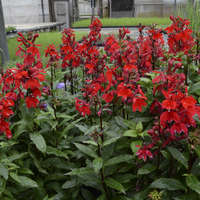 Planted in ideal moist conditions in our trial garden, these majestic plants grew to a tall, stately height of 4 feet and was in full bloom in mid-June (early summer) here in Michigan. The gigantic 7-8 inch flowers were fully double, with standards and falls much larger than the species. Each petal displays a wide, grape purple edge that feathers into the pure white center. A small sunshine yellow signal is tucked down into the base of each widely ruffled petal. This is absolutely a must-have for every perennial garden! Above all else, no other factor is a greater influence on Japanese Irises than water. 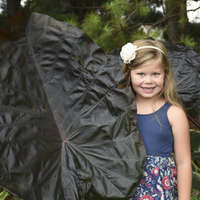 A lack of moisture will stunt the plants and flowers, while a consistent supply of water will result in large, healthy plants with large flowers. They are lovely planted beside ponds or near streams where the water table is high, but not covering the roots. Mulch the plants heavily to ensure that the soil never dries out. Japanese Irises should be planted in heavy, acidic, rich soil that has been amended with compost or manure. 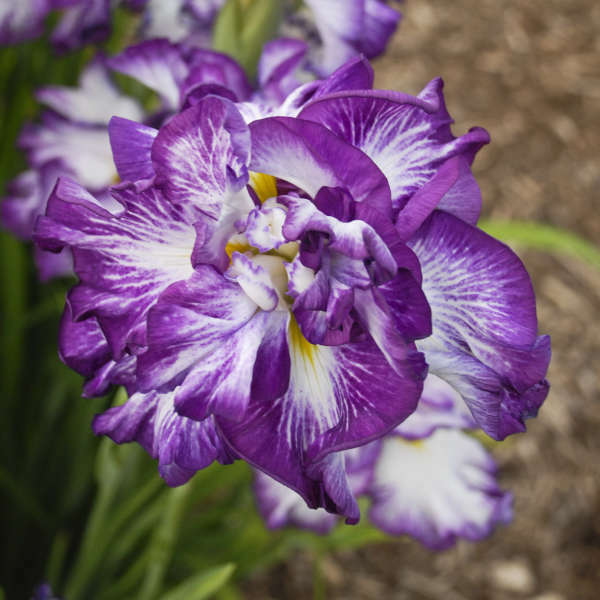 For new plantings, do not add granular fertilizer around your newly planted irises. 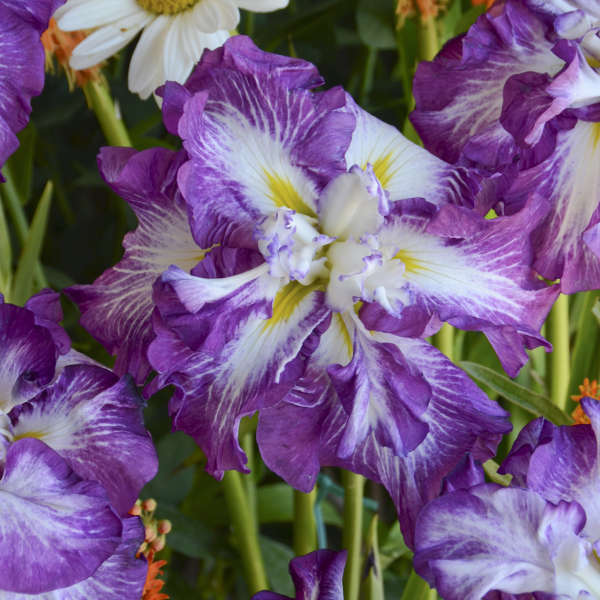 Instead, add the fertilizer to the soil a month or two before planting the Japanese Irises. 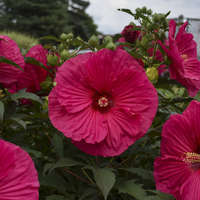 Once established, fertilize them in early spring and again right after they are finished blooming. 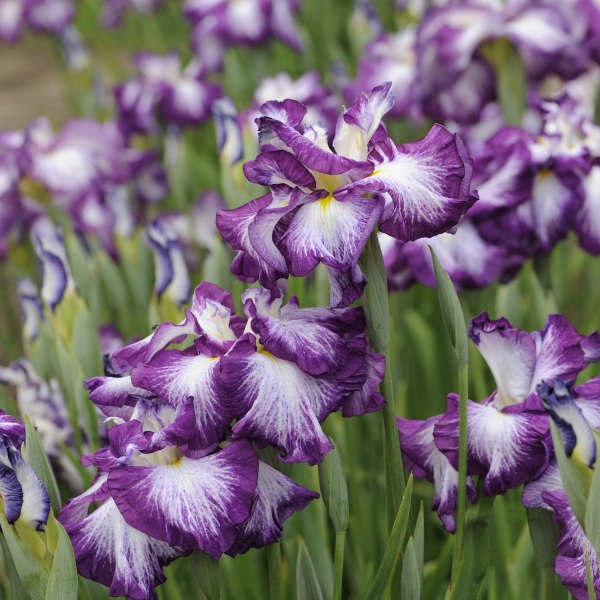 Most Japanese Irises require division every 3-4 years. 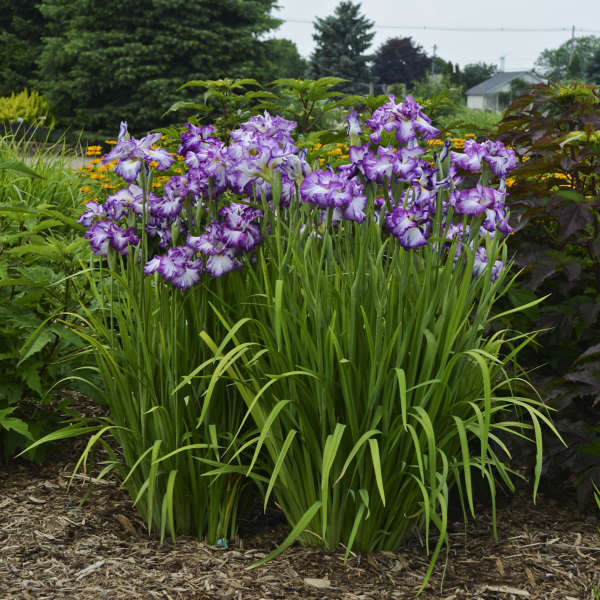 When dividing mature clumps in spring or fall, it is best to dig up the entire clump and replant the divisions somewhere else in the garden where Japanese Irises have not been grown before. The rhizomes should be planted 2-3 inches deep. New roots form above the old roots each year, so by the time you can see the roots growing at the soil surface, it's time to divide them again.